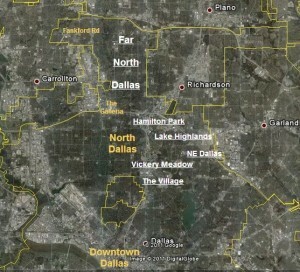 The southern part of Oak Cliff (south of Illinois ave) includes the actual neighborhood of South Oak Cliff, Highland Hills, Wynnwood South and Singing Hills. This section of Oak Cliff is majority African American. Nearly 50,000 African Americans live here. Mostly working-class population ranges from about 65% to 85% African American with Hispanics making up the remainder of the population. This area is serviced by the DART light rail which travels down the median of Lancaster rd. 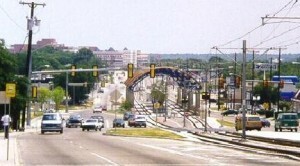 Lancaster rd is home to several of the areas business, the Dallas Urban League, and the Dallas VA Hospital. Household incomes here average from about $18,000 to $28,000 a year with between 3 to 10% of adults holding a bachelors degree. Median home values average $50,000 to $60,000 while average rent ranges $650 to $800 a month. Middle and working-class population ranges from about 90% to 99% African American. This area has seen some recent development including some single and multi-family housing as well as a brand new campus for the University of North Texas at Dallas. Dallas’ only HBCU, Paul Quinn College is also located here hidden away in the Highland Hills community. Household incomes average from about $25,000 to $35,000 a year with between 8 to 17% of adults holding a bachelors degree. Median home values average $65,000 to $95,000 while average rent ranges $700 to $950 a month.